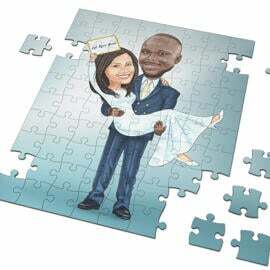 Get a funny Wedding Caricature Drawing in Colored Pencils Style, drawn from your photos by one of our experienced caricaturists. 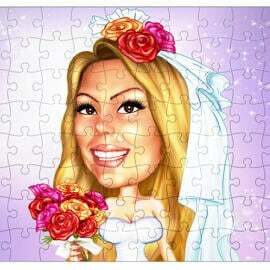 What do you think about getting married in Las Vegas? That sounds good, isn't it? 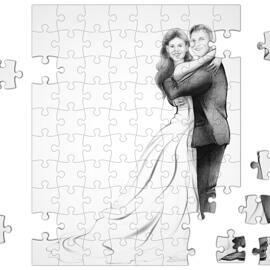 We can create any Wedding Caricature Drawing with slightly funny exaggeration for fans of adventures and new experience. 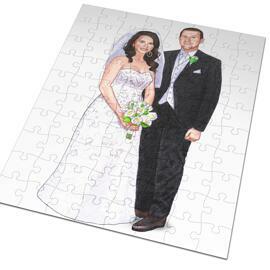 We can create Custom Wedding Caricature as a bridal pair in places they were or dream to visit. 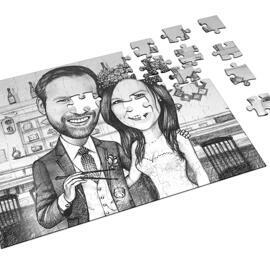 Our caricature artist will create Personalized Wedding Caricature as you wish. Mention all your ideas we have to take into account in the requirements box below. 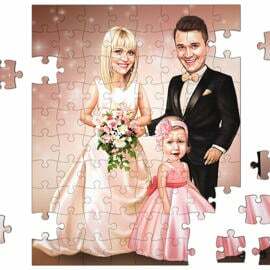 Dream about your own Wedding Caricature in Niagara Falls, on the Fiji Islands or somewhere else. Let your dreams come true. 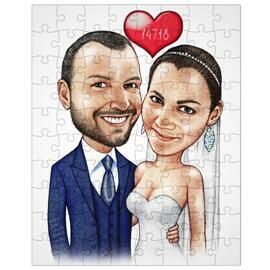 Your Wedding Caricature will be delivered as Digital File of 4000px resolution at 300 dpi to your email. Digital File is printable on any surfaces you would like.